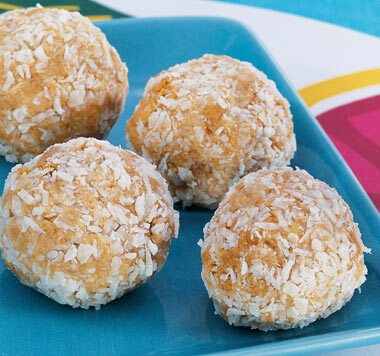 Make these quick and easy no-bake peanut butter balls. Get 1 piece of bread and remove the crust. Roll the bread into a small ball, then dip it into water so it will stick. Use a knife to roll peanut butter onto the bread. Sprinkle the sugar or coconut shavings all over the ball,then freeze for 10-15 minutes. Take out and enjoy!